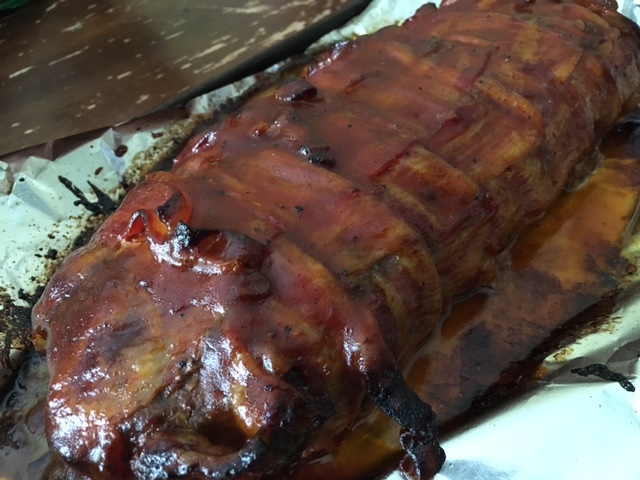 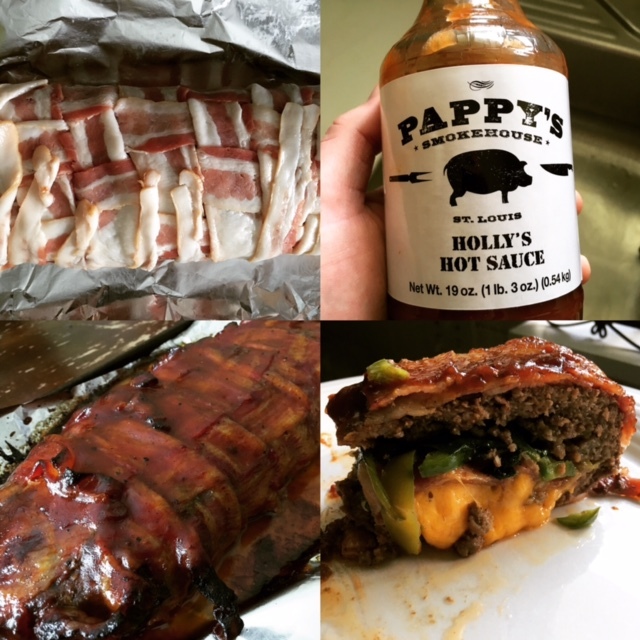 By popular demand here’s the recipe I created for my oven of BBQ bacon combs. 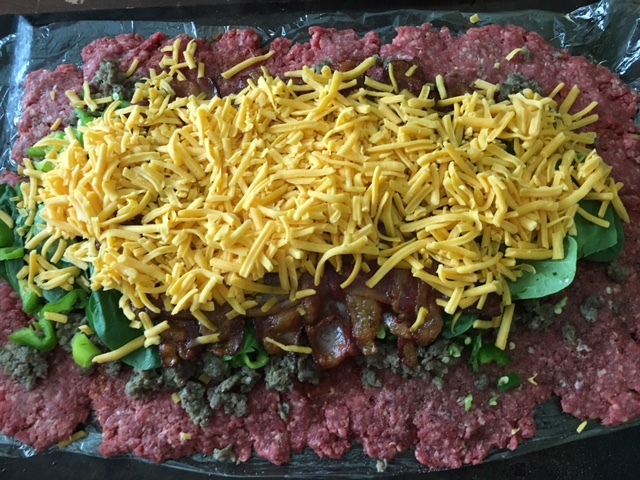 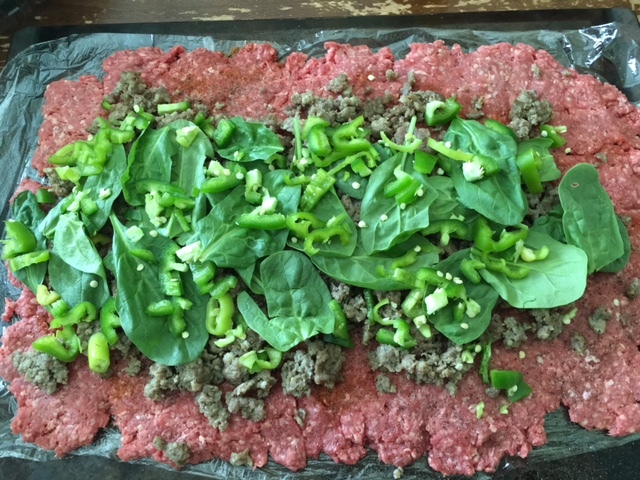 The serving size that I made using the ingredients was huge, easily serving a generous size to 10-12 people. 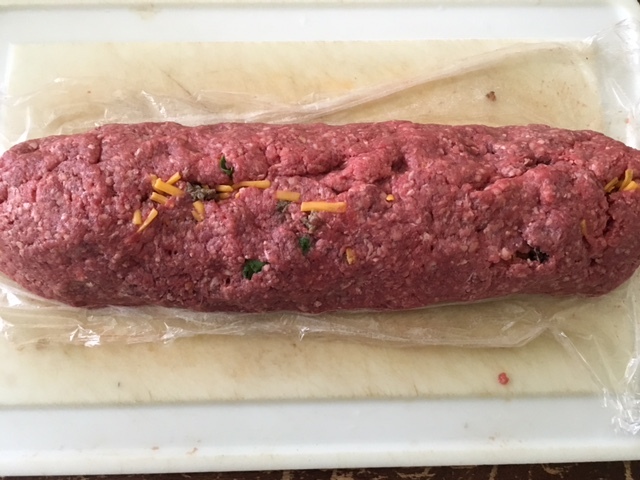 I split the ingredients evenly so I could make two bombs. 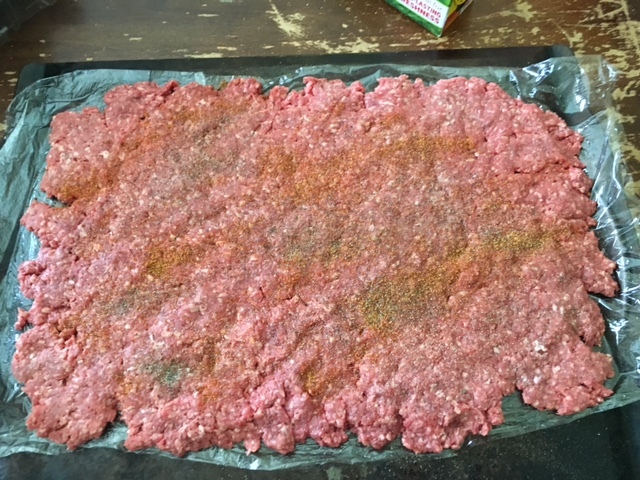 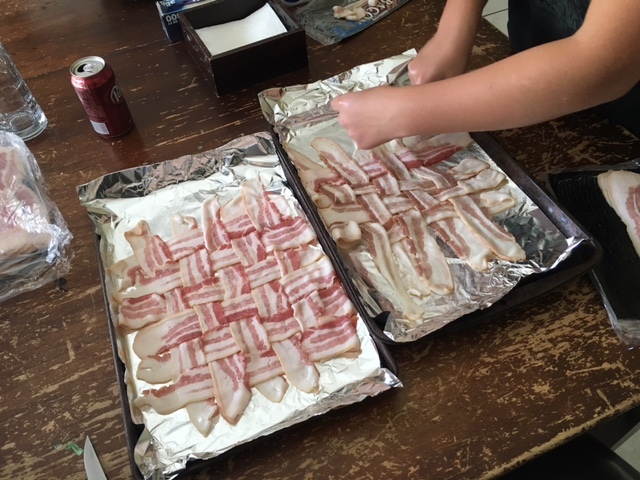 Step 1: weave one pound of bacon on one foil covered cookie tin and weave another pound of bacon on another tin and bake at 400 for 15-20 minute. 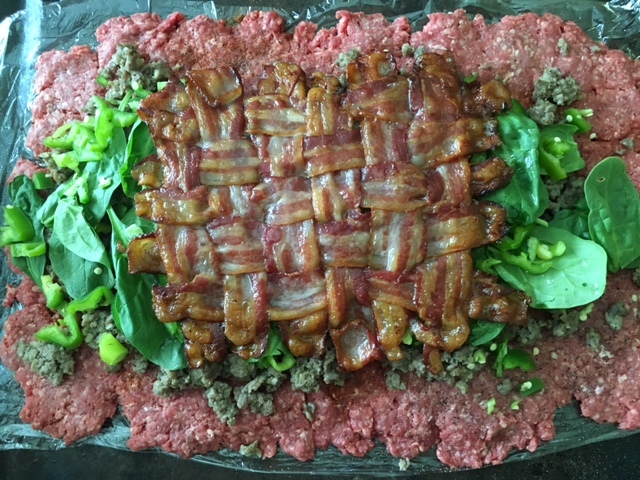 I used a thinner slice of bacon from Costco which ended up being 16 slices woven together on each tin.